If you are experiencing any Samsung Galaxy S6 battery issues; like fast battery drain, phone charging or charging very slow, etc. then read on as we give you some troubleshooting methods that’ll hopefully fix the battery issues on your Samsung Galaxy S6. First things first, You will have to uninstall any battery saving app you might have Installed on your phone if you have any. This is because these apps are doing more harm than good to your device; they constantly run in the background taking up both ram and battery causing your phone to not only freeze/hang but also drain your battery. If you have no battery saving app installed on your Phone or have uninstalled the one you have and the problem still persists then follow the steps below. 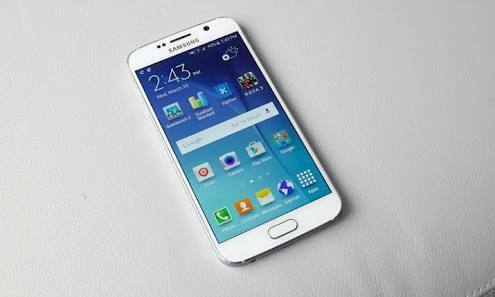 Samsung Galaxy S6 Battery Issues; Fast Battery Drain? If your battery is draining very fast than it usually does, then the first thing you need to do is to boot your phone into safe mode. Safe mode only allows stock apps to run which will allow you to know if a recently Install app is draining your battery. To boot your device into safe mode, follow the steps below. Press and Hold the Volume Down Button and Power Button still you the Samsung Logo. Immediately you see the Samsung Logo, Let go of the Power Button while still holding on to the Volume Down Button. Keep holding it till it boots up. If done right, you should see “Safe Mode” written at the bottom left corner of your phone screen. Proceed to use your phone for a while and see if the battery still drains. If doesn’t then an app you recently Installed is responsible for the battery drain issue. You can start by uninstalling the most recently Installed app and work your way down until you get to the culprit. However, if the battery still drains fast in the safe mode then move on to the next step. You can disable background sync off apps you have Installed on your device. If you have too many apps, syncing them all can take a toll on your battery. You can Either disable them or set them to only sync periodically; like once a week instead of daily. Turning off Bluetooth, WiFi and Data Connection when not in use can also lessen the load on your battery. Don’t forget to turn on battery saver mode too. This will help you conserve your battery by stopping all background functions. If your battery still drains fast after doing all these then you might need to factory reset your device. There is also a possibility that your phone battery might be damaged or weak so there is that. If that is the case then a battery replacement is the ultimate fix. If your Samsung Galaxy S6 isn’t charging even after using several chargers(Make sure you try other chargers first), then that is a clear sign that the charging port is damaged. You’ll need to take your phone to a phone technician for a repair. However, if your phone is charging but charging slowly, then you’ll need to check the chargers output. It should be nothing less than 5V – 2A or 5V -3A to be able to charge your phone quickly. If it is a 5V – 1A Charger then you’ve found the source of your problem. You’ll need to get a new charger, preferably a Samsung 5V – 2A charger to be able to charge your phone fast. Also, putting your phone in airplane mode while charging helps it charge even faster. Do you have any other Samsung Galaxy S6 battery issues that were not discussed in this article? Tell us using the comment section down below, and we’ll see to it as soon as possible.